What Will the Extra Hour of Sleep do for Your Career? The end of Daylight Savings Time is this weekend (November 2), which means an extra hour of sleep for some. For others, it could mean more time to get work done. A new survey by The Creative Group shows 63 percent of creative executives feel most productive in the morning. What will an extra hour of sleep do for YOU?! Social Media at Work: TRICK… or… TREAT? * Know what’s allowed. Make sure you understand and adhere to your company’s social networking policy. * Keep it professional. Use social networking sites while at work to make connections with others in your field or follow industry trends – not to catch up with family and friends. * Stay positive. Avoid complaining about your manager and co-workers. Once you’ve hit “send” you can’t take back what you said, and there’s a chance the message could be read by the very people you’re criticizing! * Be careful when “friending” in the workplace. First, never friend a boss, as this can become awkward. Second, you might be friended by an acquaintance you don’t want to connect with, but it may be best to accept friend requests from colleagues to avoid slighting them. However, add them to a “work” list and adjust privacy settings so you can separate your job from your personal life. Source: Robert Half International (www.roberthalf.com). The 2014 Accessibility (A11y) Conference, held October 15, brought together federal agency leaders and private business executives to discuss the development and adoption of technology that is accessible, usable, and universally designed for all workers. Deputy Secretary of Labor Chris Lu and Assistant Secretary of Labor for Disability Employment Policy Kathy Martinez addressed the audience. Also at the event, which was co-sponsored by the Departments of Labor and Health and Human Services, PEATworks.org, the new web portal for the Partnership on Employment & Accessible Technology (PEAT) was unveiled. PEAT, funded by DOL’s Office of Disability Employment Policy, works to enhance the employment, retention, and career advancement of people with disabilities through accessible technology. 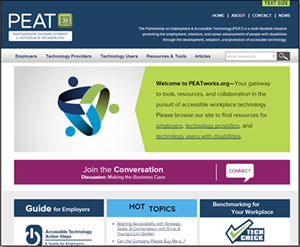 PEATworks.org offers tools, resources, and collaboration related to accessible technology and employment for employers, technology providers, and technology users. “PEAT is the only entity of its kind bringing together employers, technology providers, thought leaders and technology users around the topic of accessible technology and employment,” said Martinez. “We want employers — in both the public and private sector — to recognize the value of adopting and implementing accessible technology in their own workplace,” added Lu. UPDATE: It’s now late October during Domestic Violence Awareness Month, but the National Football League HAS been doing a better job promoting awareness of this problem of late… specifically, running a public service announcement featuring current players that bemoans domestic violence. Better late than never, as they say. 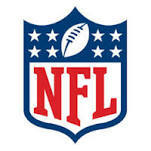 Professional football players and coaches are adorned in pink this month to note Breast Cancer Awareness Month. This is certainly highly commendable, so don’t take what I have to say next the wrong way. I do understand: My sister is a breast cancer survivor, as was my mother-in-law. * Roughly one out of three American women (31%) report being physically or sexually abused by a husband or boyfriend at some point in their lives. * Nearly 8 million paid workdays are lost each year due to domestic violence. * Educate employees about domestic violence through EAP-led workshops, newsletters, informal brown bag lunches, etc. * Create a supportive work environment in which everyone feels safe disclosing abuse. This includes maintaining requests for confidential assistance, and respecting the choices of adult victims in response to the difficult situations they experiencing. Special care should be taken to send the message that victims are NEVER responsible for the abuse they are suffering. * Seek out the expertise of domestic violence advocates in your community for additional guidance, support, and training. ** I would add… the NFL should consider having Ray Rice do some commercials about domestic violence awareness. Watch for a new article by Sandra Molinari on this topic in an upcoming issue of Employee Assistance Report. To check it out and order a free trial, go to the “Employee Assistance Professionals” tab at http://www.impact-publications.com. ORLANDO, Fla. – “Imagine…” was the theme at the Annual World EAP Conference, held Sept. 29-Oct. 2 at the Hilton Orlando Lake Buena Vista. DAY THREE – The third day of the conference began with a keynote address, “From Imagination to Implementation” by David Mineta who oversees the Office of National Drug Control Policy (ONDCP). Mr. Mineta described how he sees the EAP’s role in a paradigm shift that has substance use clients moving through EAP to treatment to community resources. He also answered questions from a roundtable panel immediately following his keynote. Video Counseling: Digital Delivery of EAP Clinical Services was led by Stan Pope and Barbara Veder with Shepell.fgi. This interactive session examined the role of video counseling as an innovative opportunity for supporting current and future employees. The presenters discussed the findings and lessons they’ve learned since launching video counseling in Canada in September 2011. While attending “formal” sessions is certainly useful at most any conference, the importance of more informal learning, networking – and just plain fun – can’t be overlooked either! Chestnut Global Partners (www.chestnutglobalpartners.org) again hosted a terrific reception, this time at the Fulton Crab House in Downtown Disney. DAY FOUR – EAPA’s annual World EAP Conference wrapped up its last morning with its annual fun run/walk, keynote from Neal McCord with Give Kids the World Village, and the annual awards luncheon and address from outgoing EAPA President Steven Haught, and look to the future by incoming President Lucy Henry. Current State of EAP in China was led by a panel of four Chinese EA professionals, and was translated from Chinese into English. The presentation outlined the development of EAP in China, its structure, growth, and future. Last, but certainly not least, conference attendees had the rare opportunity to make a difference in the lives of children and their families from around the world who are facing life-threatening illnesses at Give Kids the World Village, where attendees delivered gifts, greeted families, decorated cookies and assisted with other volunteer activities. I’m already looking forward to next year’s conference in San Diego! Kudos to EAPA for another job well done! Watch for more conference highlights and articles in future issues of the Journal of Employee Assistance and Employee Assistance Report (see http://www.eapassn.org and “Employee Assistance Professionals” tab at http://www.impact-publications.com respectively). 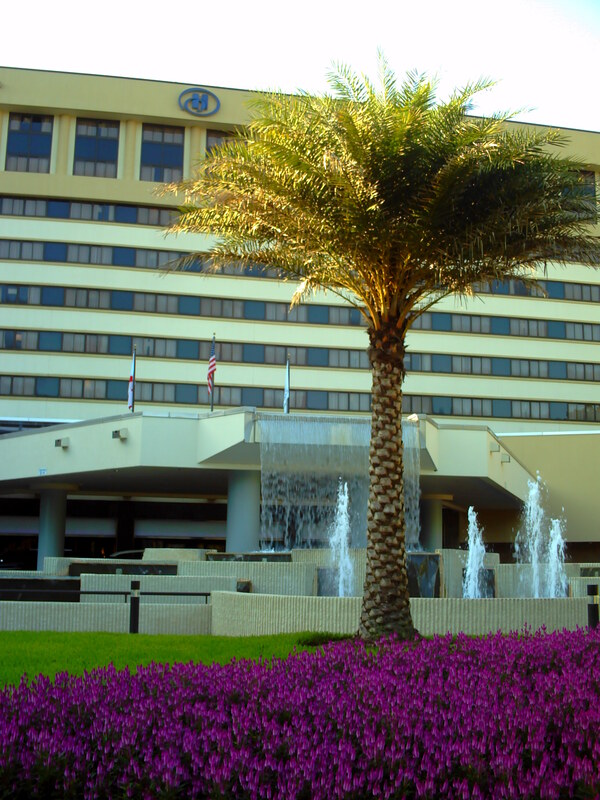 CAPTIONS: Above — The Hilton Orlando Lake Buena Vista, site of this year’s World EAP Conference, attended by EA professionals from 39 countries! 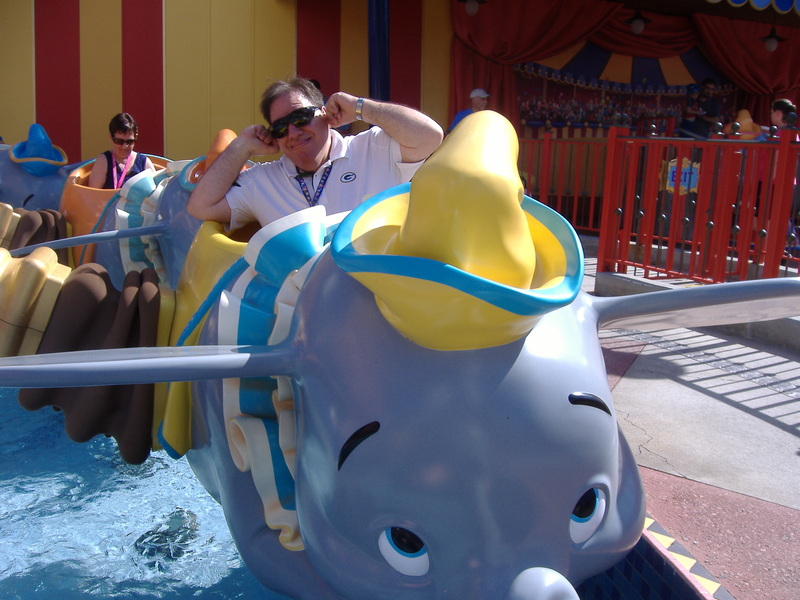 Right — JEA and EAR Editor Mike Jacquart on the Dumbo ride at Disney… or should that be Dumbo on the Mike ride? Many busy professionals………. 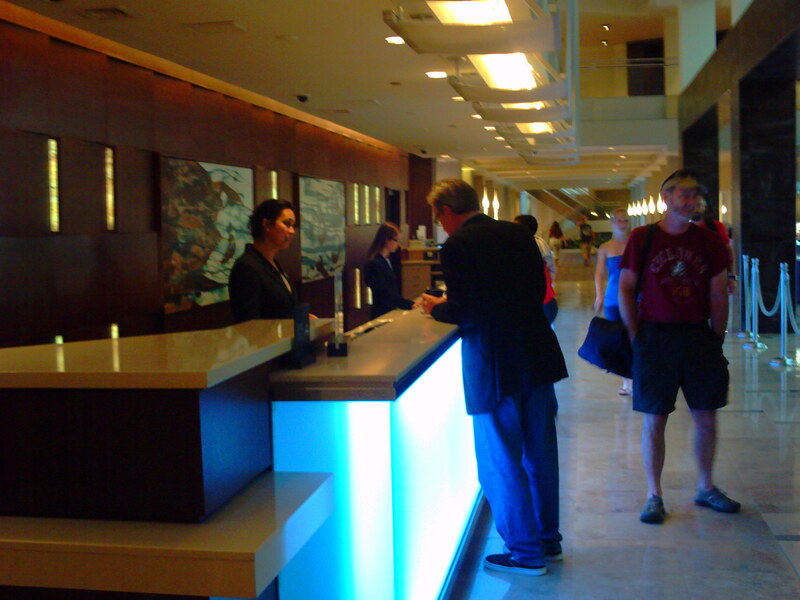 such as those in the employee assistance and supported employment fields…. travel a great deal as part of their jobs. As such, they may be Park and Fly users, as I have been. I’m referring to the convenient service in which your car is parked at a hotel near the airport you’re flying out of, a hotel shuttle takes you into the airport, and upon return, the same shuttle service brings you back to your car. No trying to find your car in a jam-packed airport lot, no high fees to pay depending on how long you were gone. With such convenience, and a cost must cheaper than parking your car in an airport parking lot, it’s a popular service, and rightly so. Still, you may wish to at least consider a different option after what I have to say. I flew to Orlando recently on business, only to find out upon my return that our 1999 Dodge Intrepid .. one nearly identical to the picture above.. was stolen from the hotel lot! Not parked in the wrong spot and towed … STOLEN! It turned up in an impound lot in Milwaukee (where we flew out of), but the damage was such that an adjuster with our insurance company considered it unrepairable. Of course, we’ll get reimbursed for the car’s blue book value, and as I say it was a 15-year-old car…but it’s the “violation” of your rights and tremendous inconvenience that still leaves you plenty upset! I doubt I will use park and fly again… … if you are reading this and have had nothing but great experiences with it — as I had up to now — hey, great… more power to you. Moral of the story: However you get to and from an airport, be careful… and…. if you have more than one car, as you probably do, make sure you drive your older vehicle to the airport. At least the crook didn’t get our 2007 vehicle. ORLANDO, Fla. – “Imagine …” was the theme at the Annual World EAP Conference, held Sept. 29-Oct. 2 at the Hilton Orlando Lake Buena Vista. Some of the highlights will be posted on this blog. Watch for more highlights and articles in future issues of the Journal of Employee Assistance (JEA) and Employee Assistance Report (EAR) – see http://www.eapassn.org and the “Employee Assistance Professionals” tab at http://www.impact-publications.com respectively. DAY ONE – The highlight of day one as usual was the annual EAPA Marketplace Grand Opening Reception. The event is a great way to meet the conference exhibitors to network and see what types of products and services they have to offer. Some of the nearly 100 vendors included: Crisis Care Network, Crisis Management International, Father Martin’s Ashley, Hazelden Betty Ford Foundation and many others. Design and Create 21st Century Supervisor Training that Makes an Impact – Presented by Greg Brannan, Susan McDonald-Conroy and Roz Laraway, this session featured the details of a real-world continuous quality improvement project, using the Workplace Outcome Suite and the A.U.D.I.T. An Investigation into EAP Counsellors’ Experiences in Kenya – Offered by Cecilia Rachier, this breakout utilized key findings from a recent study to illustrate the current state of EAP in this African nation. Demonstrating the Impact of EAP Services on Workplace Outcomes: Preliminary Research Findings – Presented by Elizabeth Merrick, Bernie McCann, Melissa Richmond, and Randi Wood, these professionals explained how a landmark study conducted by the OMNI Institute is examining the relationship between AP services and work-related outcomes… research that is often lacking in the EA field. Making EAP Services Relevant to the Facebook Generation – Scott Cousino, co-founder and CEO of myStrength, Inc., shared his observations of how technology needs to be actively integrated and promoted as part of EAP services… but not as a replacement and treatment in and of itself. I also got to attend this year’s International Attendees Reception at the Hilton. It’s a great opportunity to catch up with EAP acquaintances from across the world that I’ve met previously…….. and to meet a few new terrific EA professionals as well! WATCH FOR DAY THREE AND FOUR POSTS LATER THIS WEEK. FOR MORE INFORMATION and the CONFERENCE ON DEMAND, visit EAPA’s website at http://www.eapassn.org.